The City of Keene is governed by the Mayor and City Council. 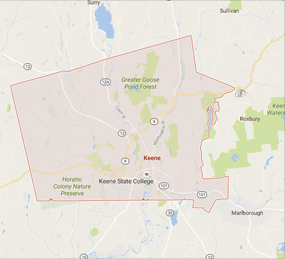 The members of this body are elected by the Citizens of Keene to represent their interests with regard to the local decision making process. The Council is comprised of 15 members, with two Councilors representing each of the five City Wards, and five Councilors serving At-Large representing the entire City. The Mayor serves as Chairman, and is the official head of the City for ceremonial purposes. The City Council meets on the first and third Thursday of the month at 7:00 PM. Meetings are located within the Council Chambers on the 2nd floor of City Hall.